CBS Wissmach scrap packs gives you unlimited potential. Create with Wissmach textures on black glass coated with CBS Dichroic. 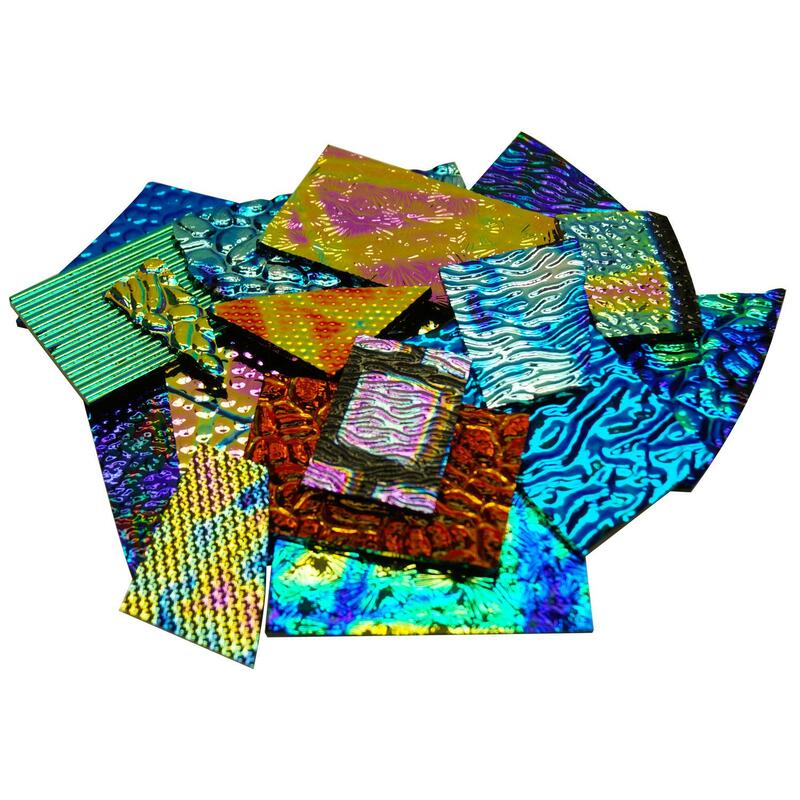 Scrap Pack includes 1 lb of textured dichroic glass in assorted, shapes, sizes and coatings on black glass. 90 COE. There are no extra boxing charges for glass packs. Photo is one example, assortments will vary. Beautiful shimmering dichroic glass in 90 COE glass can be used on its own or it can be combined with any glass with a 90 COE (coefficient of expansion) including all Bullseye Fusible and 90 COE Fusible Glass. Delphi offers premium dichroic glass from the top US manufacturers, plus exclusive economy dichroic glass. 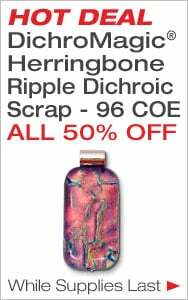 Delphi Tip: Try Dichroic Scrap for creating stunning jewelry or to add striking details to a fused glass project. 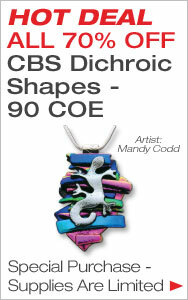 It's an economical way to discover the beauty of dichroic.